Pasadena, CA - Sept. 25, 2018 – The TMT Project Office recently held a conceptual design review to evaluate the design study for the TMT’s Adaptive Secondary Mirror (AM2) system. 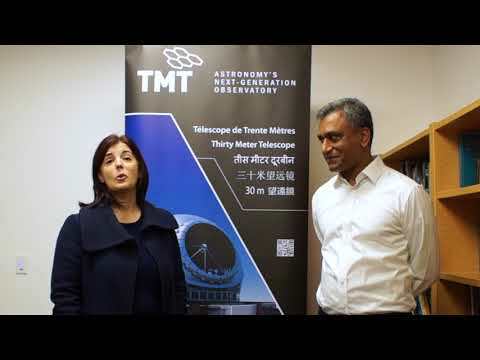 Pasadena, 5 October, 2018 - The TMT Observatory Executive Software (ESW) has passed a key milestone and is now ready to enter final design phase. An ESW Preliminary Design Review phase1 (PDR1) was held at the project office on September 27, 2018. ThoughtWorks, ITCC and TMT Engineers presented the overall Executive Software architecture and operations concepts, as well as their updated requirements and technical use cases. 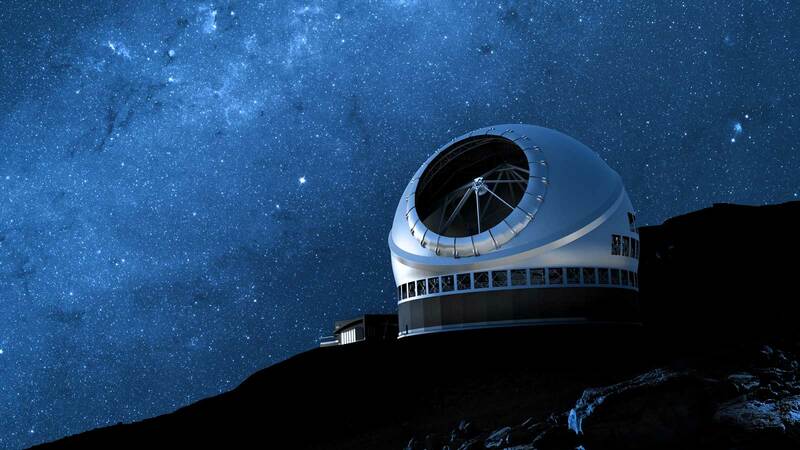 PASADENA (July 26-27, 2018)– The Thirty Meter Telescope Optics Group recently achieved a critical milestone by passing its Primary Mirror Optics System (M1S) final design review. The review board, comprised of international reviewers and observers from various institutions including ESO, ITCC, JPL, JWST/Ball Aerospace, KECK, NAOJ, NIAOT, and the TMTPO*, met at TMT headquarters in Pasadena. Pasadena, CA - March 8, 2018 - Future users of the Thirty Meter Telescope are now preparing studies of the science instruments that will be deployed after the telescope's first-light instrumentation suite. The year started at full speed for the TMT Observatory Software (OSW) team, who met in Pune, India with their colleagues from the India TMT Coordination Center (ITCC) and ThoughtWorks engineers to conduct their 3rd Common Software (CSW) sub-system inception meeting. In the Himalayan foothills near Naintal, India, stands the largest single-mirror optical telescope in Asia: India’s new Devasthal Telescope, designed and built under the joint leadership of the Aryabhatta Research Institute of Observational Sciences (ARIES), the Indian Institute for Astrophysics, and the Tata Institute for Fundamental Research.